The game is very open ended. There are no instructions, just the postcards with different pictures, codes, ciphers, and puzzles on them. As you solve the puzzles, they give you more information about the story and what you’re supposed to ultimately do to solve the mystery. In order to solve the puzzles, you’ll need the postcards, pencil and paper, a camera, and the internet. There is also a hint system online that has a couple hints for each puzzle. 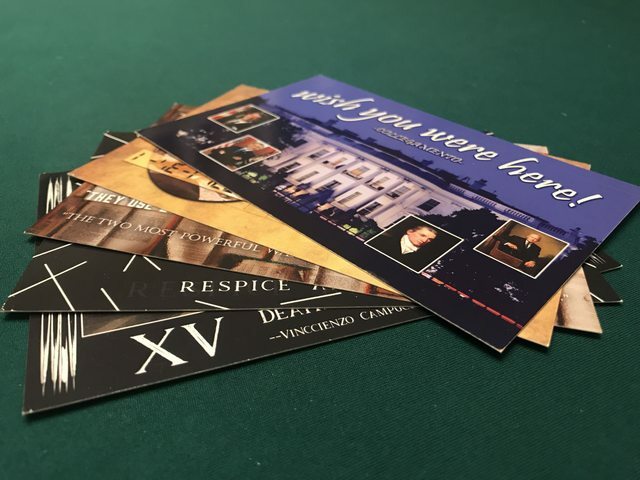 The entire game is these five postcards! I take a shuttle to work, so I went through most of Wish You Were Here on the shuttle on my commute. It was great that it was portable - I could just look through the postcards and take notes in a notebook that I brought with me. There were some times that I wished I had a computer, since some code ciphers are much easier with the help of online tools (and I really dislike typing on my phone). But I was able to solve everything without a computer. Also, I went through the experience by myself, but since there are five separate postcards multiple people could work on puzzles at the same time. Most of the puzzles can be worked on independently of each other, and it's not until you solve everything that the entire story unfolds. I enjoyed going through the different puzzles. 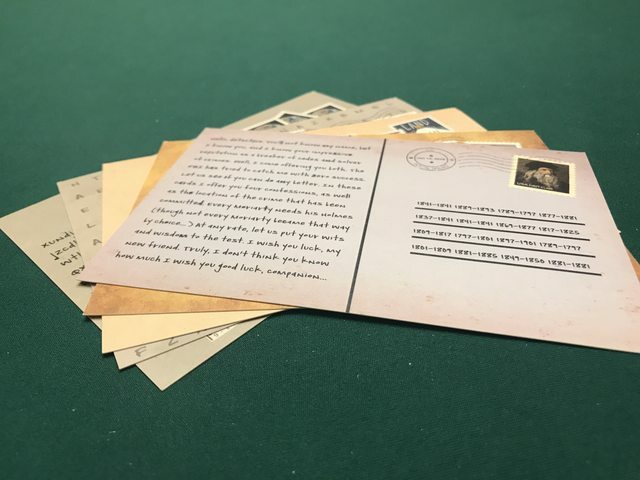 The puzzles were mostly ciphers and codes - ones that don’t involve physical parts, but are more about finding patterns in what’s shown on the card. I needed to use the hint system for some puzzles, but the hint system was done very well. The hints are separated by postcard and image on the postcard, so I could easily go to whichever hint I needed. The hints were also very useful and I was able to figure out all the puzzles after reading the hints. I enjoy games like Sherlock Holmes: Consulting Detective and Escape Rooms. Wish You Were Here was an experience that was like a mixture of the two. 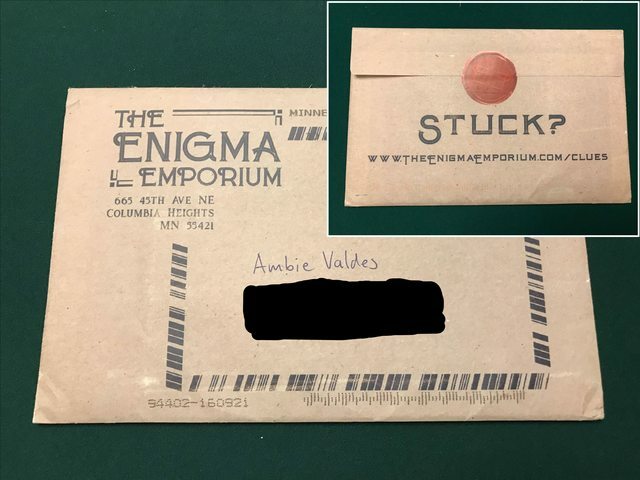 There was a light detective feeling with the story that was slowly unfolding through the postcards, and the puzzles were satisfying to solve. Also, every puzzle was different, and I was surprised at the amount of puzzles that could fit in five postcards! Wish You Were Here is definitely not the same as an elaborate high-budget Escape Room, but for the price and components, it's a great experience. If you’re interested in Wish You Were Here, it’s on Kickstarter now.